From discovering a prehistoric archaeological site to founding a private school that has grown into a nationally recognized university, African-Americans have made significant contributions to our city's heritage and history. 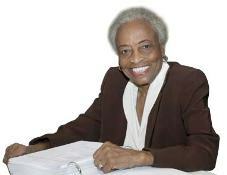 This compilation and its accompanying 28-page publication were inspired by Daytona Beach native and first African-American mayor Yvonne Scarlett-Golden (1926-2006). A special thanks to the historians and citizens who spent countless hours assembling the Black Heritage Trail, so that future generations are reminded of the important role that African-Americans played in the history and development of our community. There are 18 sites highlighted in the Black Heritage Trail booklet; however, they are not intended to be a complete, comprehensive listing of the many African-American accomplishments or historically significant sites in Daytona Beach.